How do you fancy making some extra cash as well as helping the environment? Well, now you can do both by harnessing the power from solar panels on your home. As of April 1st this year, ‘feed-in-tariffs’ became available in Great Britain. Under the scheme, the large energy companies have agreed to give regular payments to individuals and organisations who generate their own energy through green methods i.e. through solar panels or wind turbines. The environmental benefits of solar panels are obvious – they are a source of renewable energy that can help reduce CO2 emissions. However, you may not be quite as aware of their long-term financial benefits. Adding solar panels to your home could not only reduce your energy bills, it could also earn you extra money into the bargain. If you sign up to the scheme, you’ll be given direct payments from your energy supplier for the energy you generate for yourself (generation tariff). You’ll also receive payment for any additional energy you generate that’s exported back to the national grid (export tariff). The money you earn from the scheme is also exempt from income tax. The downside for many people with this idea is the expensive installation costs. The green benefits are immediate, but it can take many years for the panels to pay for themselves and indeed make a profit. If you do decide to have them fitted, you’ll need to be sure you intend to stay in your property for a long time in order to reap any rewards. You may choose to take out a loan to cover the cost of the initial installation of the solar technology. If this is the case, according to The Energy Saving Trust, the feed-in tariffs are designed so that the average monthly income from your installation will be significantly greater than your monthly loan repayment (with a 25 year loan). There are companies out there who will offer to fit solar panels (normally referred to as microgeneration products) for free. This is how it works – they install, connect and maintain the technology for no initial outlay, but they then claim the generation tariff and export tariff payments rather than you. 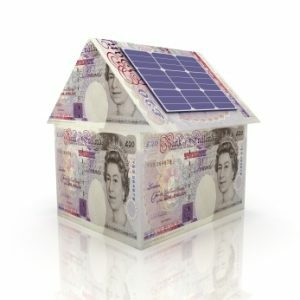 So in short, if you get the panels fitted for free – you’ll be more eco-efficient and save money on your energy bills, but you wont actually make money. Be aware that your home insurance policy may not cover solar panels as standard. If you do make any expensive additions/changes to your property – always inform your provider to ensure you’re fully covered.